The Jacqueline Hoodie release post only showed you a few photos of the gorgeous hoodies that my testers created. But there are so many more! That’s why we are doing a blog tour to feature these beautiful garments and take you behind the scene. 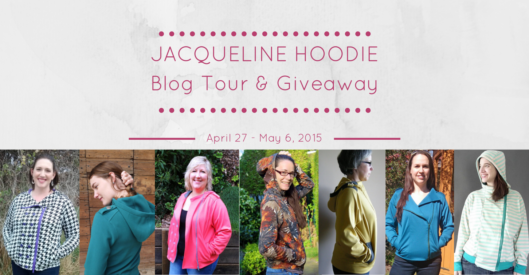 And what is a blog tour without a giveaway of the Jacqueline Hoodie pattern? So you definitely do not want to miss out on this. Even if you already bought a copy of the pattern, you can still participate in the giveaway (the purchase price will be refunded to you if you win!) Good luck and keep stitching! Nice hoodie, very attractive! I like the subtle difference in styling with this one. so many options available to customize it! I love the versatility of these hoodies!